BL (Irl) Kings Inns, Dublin 2004. Ruth has practised exclusively in family law for nearly 20 years. The breadth of her practice is reflected in the reported cases in which she has been involved.The bulk of her work remains in the Family Division, including Court of Protection work. 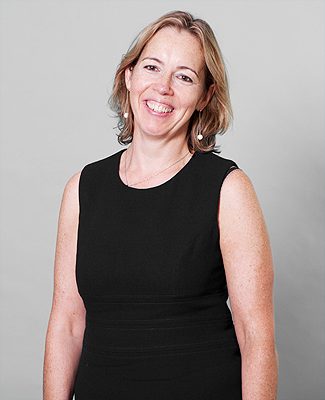 Ruth deals with all aspects of private and public family law including domestic and international abduction and stranding; wardship and the Inherent Jurisdiction; complex family disputes concerning children; and care proceedings and adoption. She has particular experience in radicalisation public law cases and in representing very religiously-observant families in private law disputes. Having dual jurisdictional qualifications, Ruth also acts as an expert witness in Irish Family Law cases and has rights of audience before the Irish courts. Ruth has lectured for the London Safeguarding Children’s Board and for the Counter Terrorism Unit (SO15) as well as giving in-house lectures for 4pb. She has also lectured at Gresham College; in commercial and academic institutes; and for the Family Law Bar Association. Her academic lecturing included five years as a lecturer in Human Rights law at the University of London. Outside of work Ruth enjoys tennis, spinning, film, wine, music, family and watching rugby. Experienced family and Court of Protection practitioner who has expertise in sensitive matters. She is praised for the strength of her advocacy and for the tenacity she shows on behalf of her clients in court. Her expertise includes the representation of very religiously observant families, and she is proficient in cases concerning radicalisation and international issues. Experienced family and Court of Protection practitioner who has expertise in sensitive matters. She is praised for the strength of her advocacy and for the tenacity she shows on behalf of her client in court. Her expertise includes wardship, radicalisation and international issues. Experienced family and Court of Protection practitioner who has expertise in sensitive matters. She is praised for the strength of her advocacy and for the tenacity she shows on behalf of her client in court.